Enjoy the numerous health benefits that Saunas can provide right from the comfort of your home. Consistent use of Saunas has shown to: improve blood circulation, enhance the function of the immune system, provide relief for respiratory conditions such as bronchitis or chest congestion, stimulate pain & stress relief, improve skin health by encouraging the removal of dead skin cells, and help users lose weight by burning calories. 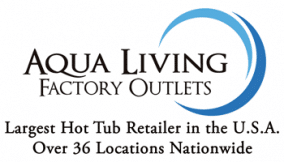 Find high-quality Saunas that can fit up to 4 people available at wholesale prices from Aqua Living Factory Outlets. Explore our collection of Saunas that are all covered by a 5-year warranty on parts, a 90-day warranty on labor, and a lifetime warranty on the frame. For a limited time, get overhead lighting for free with most of our available Saunas for sale. Our Saunas are equipped with energy efficient carbon heating panels and offer a premiere experience for home use.